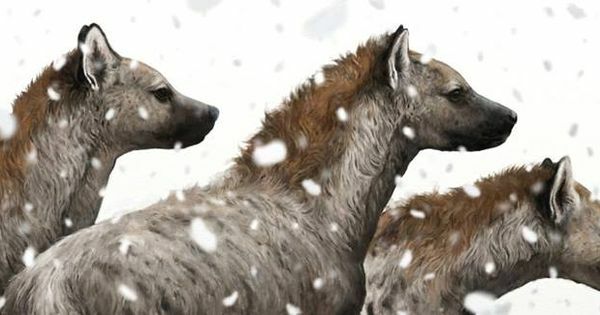 Giant Ice Age hyenas–yeah, we’ve got them, too. I hope you don’t mind me using this opportunity to talk up my book. Until I get invited to do it as a guest on Rush Limbaugh’s radio show, this is about the most I can do in terms of publicity. If you’re a regular reader of this blog, you know there are times when writing up the nooze just grinds me down. I mean, really–the names of politicians’ lawyers? I believe in being well-informed, but that’s ridiculous. 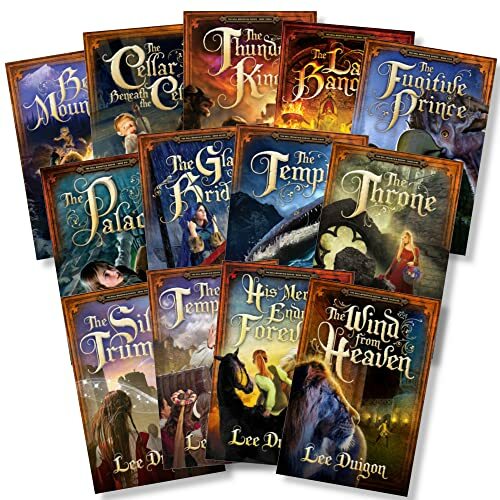 If this is the first you’ve heard of any books of mine, or my Bell Mountain series of fantasy/adventure novels, and you want to know more–well, you’re already in the right place. Just click “Books” and find out everything you want to know. I received my author’s copies of The Temptation today, and I thought the occasion ought to be made more festive. So let’s have another comment contest! Yeah, I know the Bell Mountain Movie Contest kind of went belly-up, with only seven readers entering–although those seven did play with a lot of enthusiasm. But experience has shown that the comment contests always work. Currently we have 42,000-plus comments; so let’s shoot for 44,000. Anyone can play, all you have to do is leave a comment anywhere on the blog, and whoever posts Comment No. 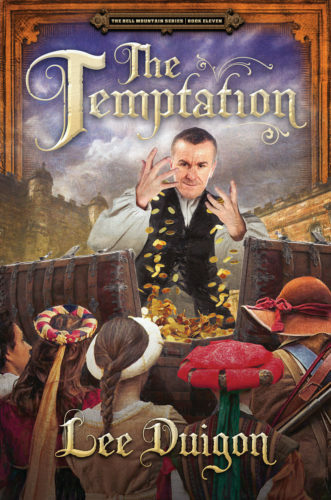 44,000 will win an autographed copy of The Temptation. We’ve had many comment contests over the years, and a lot of you have been winners. Don’t feel guilty about winning again! It’s a new book, after all; and if you already have it, you can keep the one I send you and make a present of your other copy. Or whatever. The contest is open to all, and all comments are eligible except for the following: comments abusive to anyone else on the site; comments containing profanity or blasphemy (we don’t do that here! ), ads thinly disguised as comments, like we’re too dumb to see through that, and comments simply too inane to bother with. Let’s see how long it takes to rack up a little less than 2,000 more comments. It sounds like a lot, but you’ll be surprised how fast it goes. All right! The Temptation is out there now, and at least its Kindle sales are off to a good start (it’ll be another week before the paperback is available). But I can’t get too wrapped up in that now, because the warm weather is coming and I want to be ready to start writing the next book, as soon as the Lord gives me the go-ahead. A title, a new character, a new place–whatever He gives me to be the seed of the story, that’s what I’ll worth with. Before I can do that, though, I have to re-read Bell Mountain No. 12, His Mercy Endureth Forever: because, when you’re writing a series, it’s incredibly easy to forget which details belong in which book or simply to forget things altogether. So out comes the manuscript. Now, how do I say this without sounding like a fat-head? Never mind, I’ll try. I wrote the book. No doubt of it. But when I sit there and read it, it feels like I’m reading something that someone else has written. “How did I ever think of that?” I wind up wondering. Worse–I begin to feel like I’m reading about real people and things that really happened. It’s… well, weird. I’ve said before, the books are smarter than I am. Give God the glory for that! I’m delighted to report that Book No. 11 of my Bell Mountain series, The Temptation, goes on sale tomorrow! I just found out minutes ago. Paperback and ebook will both be available on Nook Books, Google Play/Books, Amazon Kindle, and the Chalcedon Store (www.chalcedon.edu/store). Note: the Chalcedon offices will be closed next week, so physical copies of the book from Chalcedon will not go live on Amazon until April 19, next Friday. Please don’t try to order them from the store before April 19. But everywhere else–it’s tomorrow, everybody! It was warm enough to ride my bike this morning, which tells me that soon it’ll be nice enough weather for me to start writing another book. The Lord knows (yes, He knows, but I don’t) where that story’s going to go next. I can’t wait to find out.